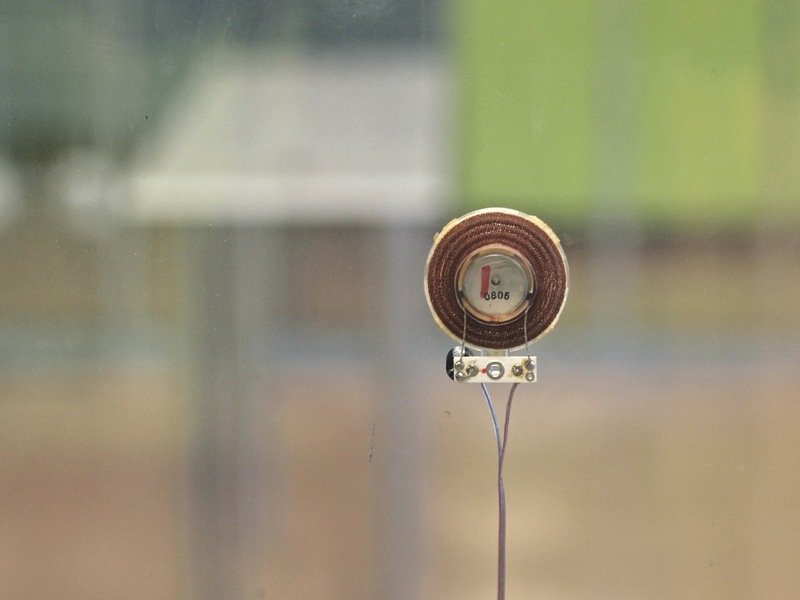 This installation breaks down the musical motifs of the music box into an interactive site-specific sonic environment utilizing computer processes, sonic transducers and two hand cranked music boxes. The clear plastic walls of the gallery have been transformed into the sounding mechanism of the loudspeaker, and no two interactions with the music boxes will result in the same sounds. Two hand-cranked music boxes are affixed on opposite sides of a table. These music boxes have each been modified to play alternating notes. Contact microphones underneath the table are used to pick up the playing of these music boxes. 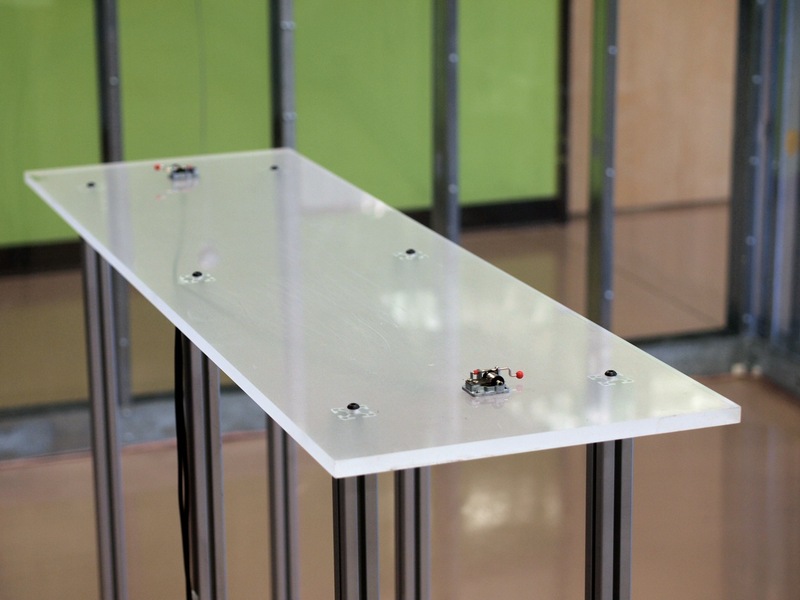 A computer processes these sounds and distributes individual notes to eight different locations in the space via sonic transducers mounted on the clear plastic walls of the space. These transducers transform the walls themselves into the sounding mechanism of the loudspeaker. A visitor to the installation may crank the music box which produces a live processed variation and “spatialization” of the notes. This transformation can take several forms based on the users rate of performance and the level of collaboration with a player on the second music box. When the playing is slow and steady the resultant sounds are discrete, smooth, and pointillistic. Whereas, if a performance is fast or irregular, the resultant sound will be smooth chords based on the notes played. If two players collaborate to recreate the original music box tune, the melodic content will be emphasized via the electronic processing. The intention is to expand the musical range of the music boxes by electronically enhancing the limited performance options of the music box.